I’ve always liked dried apricots, but the texture of them is, admittedly, kind of disturbing to me. Not to mention their color — that neon-tinged ocher was never meant to be seen in nature. But they make for excellent trail mix and they taste pretty okay, so I’ve learned to ignore the unsettling chewy texture and bulbous appearance. And then last week I was introduced to sulfur-free dried apricots. And I am never going back. As it turns out, the dried apricots that are commonly available in stores get their Frankenstein-like attributes from being treated with sulfur dioxide. Unfortunately, this treatment has the mild side effect of completely ruining the flavor. 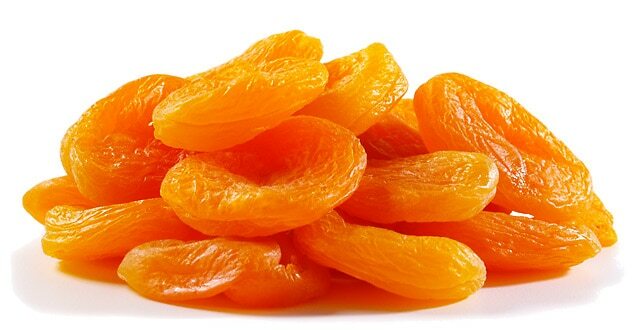 In contrast, sulfur-free dried apricots look kind of like flattened and freeze-dried termites, but they are approximately a hundred times tastier. As a friend of mine put it, “organic dried apricots are nature’s Sour Patch Kids.” They really are. Go buy some now, you won’t regret it. Dried apricots are not the only fruit where consumers are forced to settle for pretty at the expense of tasty. The tomato is probably the most notorious example of this — supermarket shelves are lined with bright, round, shiny red tomatoes that seem to come straight from central casting. But when it comes to taste, comparing these Hollywood-perfect tomatoes with a heirloom variety, such as UglyRipe, is kind of like comparing Natty Light with a microbrew. The average tomato available at the supermarket is simply a bland and watery imitation of the real thing. In the case of tomatoes, though, there is at least a strong argument to be made that the government is to blame for the lesser availability of the ugly-but-tasty varieties. But when it comes to dried apricots, the specter of government regulation cannot be as easily invoked, to explain why the sulfur-treated apricots are widely available and the unprettified kind are so hard to find. True, drying fruit with the help of sulfur dioxide is cheap, but my guess is that the real appeal is the resulting appearance. People just aren’t going to venture out and try and entirely new food type when the appearance is so unsettling. I mean, would I have ever tried the non-sulfur kind on my own, if a friend hadn’t bought some for me to try? Probably not. Because they’re labeled organic, and I don’t swing that way. But also because there is nothing particularly compelling about the sight of a bag of organic dried apricots, which could in fact be confused with a bag of potpourri. So consumers don’t know enough to go for non-sulfur treated dried fruits. And stores — except for stores that specialize in catering to yuppies, like Trader Joe’s — have little to gain from trying to offer consumers an ugly looking version of a commonly available product. Which means we’re stuck eating a less-good version of dried apricots, unless and until consumers somehow discover en masse how much better the organic kind can be. This entry was posted in Everything Else and tagged food, free market, trader joe's by Susan Simpson. Bookmark the permalink.